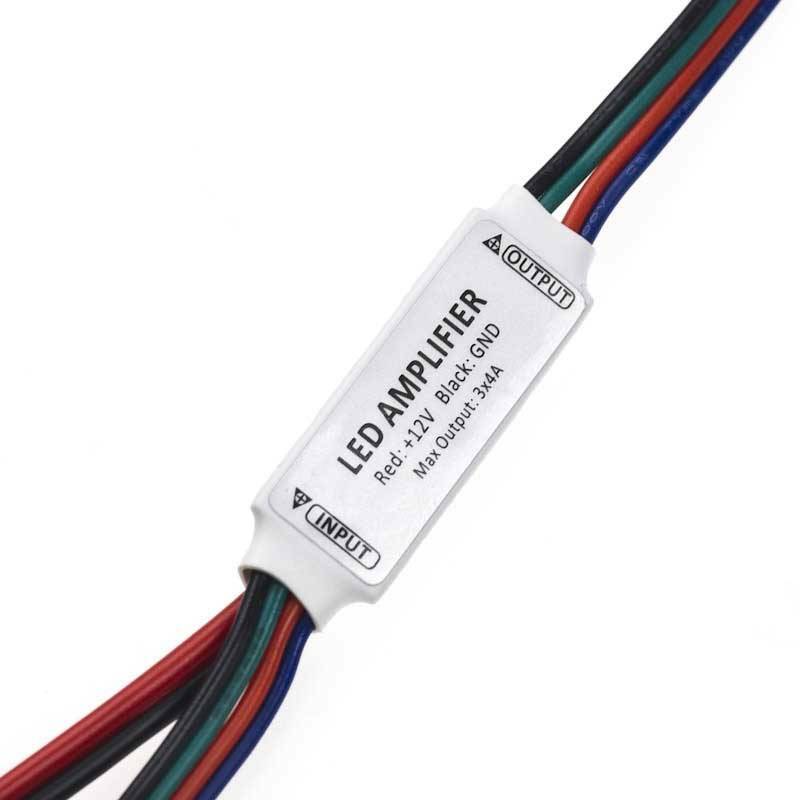 If you want to control a large amount of LED lighting with only one controller, this signal amplifier can be used to amplify the signal from the controller. Can be used with both RGB and single color controllers / dimmers. 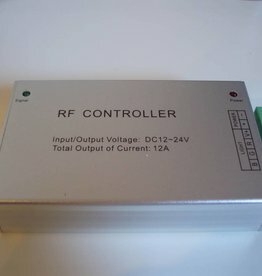 Connect the output from the RGB controller to the input of this signal amplifier. Connect a power supply to the amplifier, and connect max 72 Watts of LED lighting to the output of the amplifier. Rated current: 2A for each Channel. Connect all three channels together for single color lighting, max current 6A. 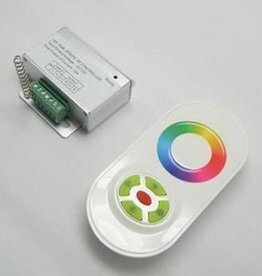 RGB Controller for RGB LED Strips. 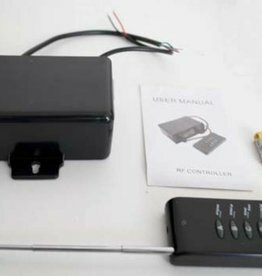 Includes an RF remote with 15 meters control distance. Functions: Fixed color, fading or jumping colors, brightness control. RGB Controller for RGB LED Strips. 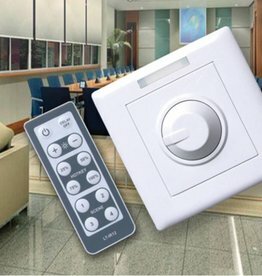 Includes a user friendly RF remote with 15 meters control distance. Functions: Pick a color using color wheel, fading or jumping colors, brightness control.